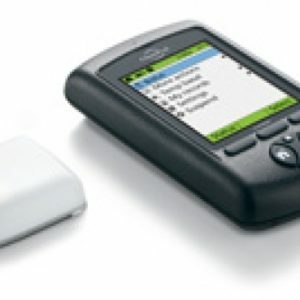 The OmniPod Insulin Management System advances insulin pump therapy. Again. 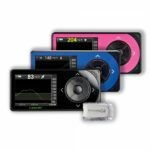 Wear the small, discreet wireless insulin pump to deliver your insulin without shots or tubing. 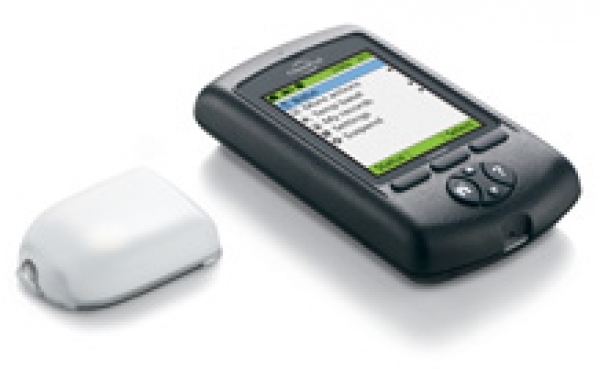 No tubing to snag, tangle or dress around; the first completely tubeless insulin pump. 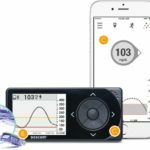 Delivers insulin based on your personalized settings—precisely what you ask for, when you ask. Insulin reservoir, angled infusion set, automated inserter, pumping mechanism and power supply are all built right in. Weighs just 25 grams with an empty reservoir—so comfortable you’ll forget you’re wearing an insulin pump. Inserts automatically at the push of a button, with no needles in sight. Pink slide insert, visible on the top of the Pod, provides added confidence that the cannula has deployed. OmniPod has just three simple steps to delivery. 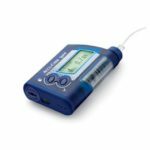 Day to day, use the PDM for additional insulin delivery, to check blood glucose, or adjust insulin settings as needed. And every three days when it is time to change the Pod, simply remove it and apply a new one. It really is that easy. The Pod automatically primes itself and performs a series of safety checks to prepare for insulin delivery. With just a push of a button and virtually no pain, the cannula is automatically inserted and insulin delivery begins.